Fairchild Books, an imprint of Bloomsbury Publishing, revealed a new logo today to signify its growth and movement into the digital publishing landscape. With the launch of Bloomsbury Fashion Central in summer 2015, Fairchild Books fashion textbooks will be available for e-rental for the first time, and will be accompanied by digital STUDIO interactive materials for teaching and learning. 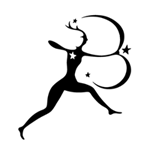 The new logo is part of a suite of logos that represent each of the new products within Bloomsbury Fashion Central, including Fairchild Books and the forthcoming Fashion Photography Archive. This cohesive branding unites Bloomsbury digital fashion products underneath the umbrella of Bloomsbury Fashion Central. The launch of the new logo kicks off a new era at Fairchild Books that will incorporate digital products into their textbooks. For more information about Bloomsbury Fashion Central and the Fashion Photography Archive, please visit www.bloomsburyfashioncentral.com. Next Post:February Flash Sale – last few hours!